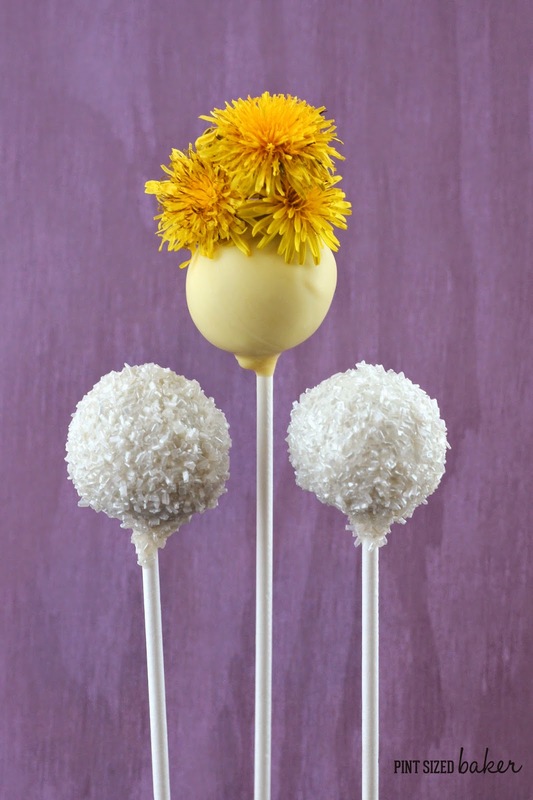 Spring has sprung and that means Dandelions are everywhere – even in the form of Cake Pops! These were the inspiration for the week. My daughter was picking up the puffs, giving them a good blow, and making a wish. It’s so fun to watch the kids with dandelions. They just instinctively know what to do. At least, I didn’t teach her to make a wish. And since this isn’t my yard, she can spread as many seeds around as she wants to! However, they are NOT allowed in my yard. Along the street, in the empty field, in other people’s yards they are just fine and can have a great home there – but not here. I also found out the dandelions are edible. You can toss the tender greens into a salad or cook them like spinach in a fry pan. 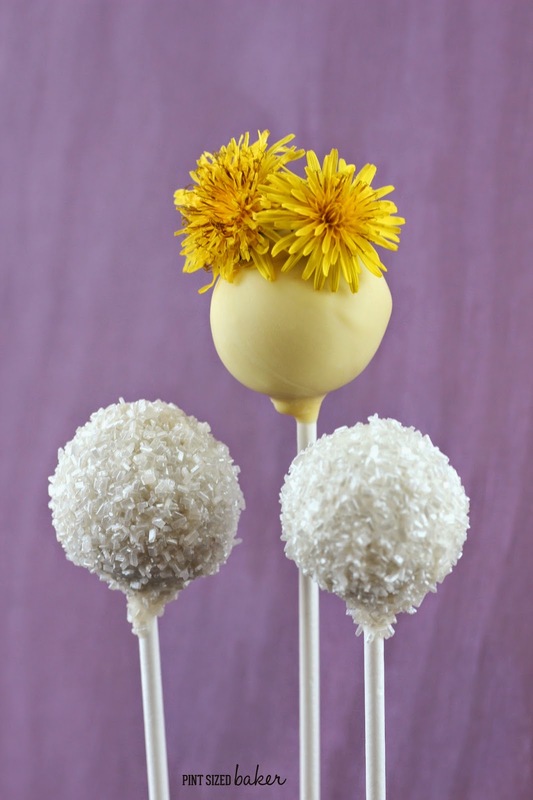 There is Dandelion wine which is made from the flowers. I learned a lot online. 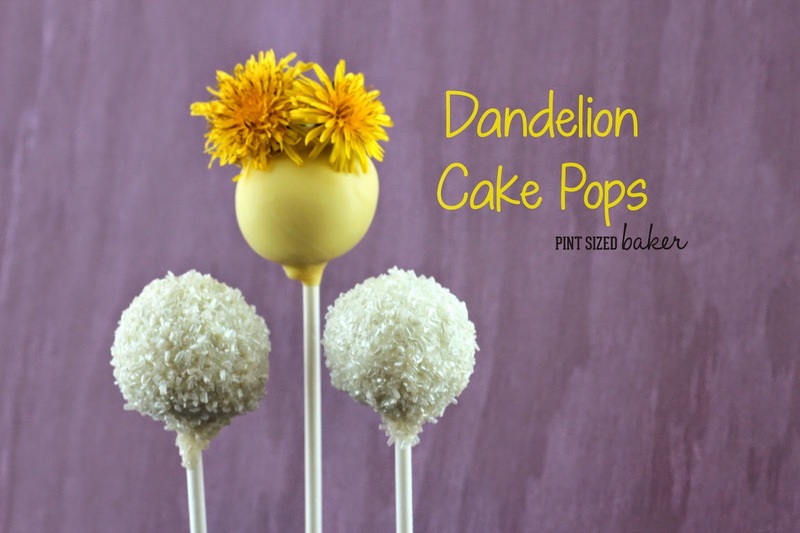 Just Google “are Dandelions safe to eat” and you’ll find all kinds of things to do with them. I guess these weeds aren’t so terrible after all… as long as they stay out of my yard! Lol!